A CMO role differs greatly from a senior marketing role. I cover a much broader scope beyond the digital focus I had at Dell. As well, as the Dun & Bradstreet CMO, I spend a significant amount of time with my peers driving the broader company strategy beyond the marketing function. However, my modern marketing mindset contributes valuably to the strategy. I also act in an external capacity, both in the offline and online world. This allows me to remain transparent and accessible to all audiences as the face of the company and its culture. What are some of the criteria an organization should satisfy to have a CMO level marketing executive, vs. a SVP or VP of Marketing? The answer depends entirely on the goals of the organization. Does the company merely need a great marketer, or a leader to implement a vision across the entire company with a marketing mindset? A CMO drives customer experience – the totality of interactions a customer has with the company across all areas. A CMO drives customer experience – the totality of interactions a customer has with the company across all areas (sales, marketing, service, product, contracting, etc.). Modern CMOs have the skills and authority to integrate all these silos to provide an integrated customer experience while other marketers may not. While at Dell, you built the digital inbound marketing capability and organization. What advice do you have for other marketing executives challenged now to do the same? Don’t simply jump into tactics…make sure you have something unique to say. Don’t simply jump into tactics around analytics, technology, and content operations. Make sure you have something unique to say and that the organization understands what that messaging is. Until you have that, and a culture that supports it, great execution of inbound will not break through the noise. At Dun & Bradstreet, I focused first on working with the Chief People Officer to drive a clearly defined purpose and values. My team then built a new go to market strategy and associated messaging. Only after this did we start to scale the inbound machine to drive pipeline. Marketing and communications roles are converging within many organizations as owned, earned, paid and social media intertwine. With PR, AR and Marketing as part of your domain, what does the modern marketing and PR entity look like? Are they converged, independent or something new? Communications plays a critical role in driving early stage thought leadership for the company as a whole to all the firm’s constituencies. Public relations experts are the storytellers to media, analysts, and influencers, leading to broad marketing and brand awareness, while other disciplines of marketing are concerned mostly with selling to customers. Both PR and marketing functions leverage the same resources (content, digital, production, creative, etc.) to get things done which ensures integration of efforts and messaging. According to the annual CMI and MarketingProfs study, fewer marketers are implementing content marketing and yet many organizations are still dealing with content shock (too much content). What role does content play in your demand generation and overall marketing plans? Content is fundamental. I have a separate organization reporting to me that focuses on content marketing. However, they don’t just create content. They orchestrate the entire content supply chain which consists of coordinating all the people, both internally and externally, who are creating content and ensuring that there is a process from content ideation to creation to promotion. There may not be a need for more content, but there is a need for higher quality content that delivers new insights. The study referenced is more reflective of the fact that a handful of marketers are creating too much content that is simply repetitive and uninteresting, repackaging the same messaging in new and faux-clever ways as click bait. There may not be a need for more content, but there is a need for higher quality content that delivers new insights. How do you balance hiring more marketing staff vs. using outside vendors and agencies? What trends do you see in terms of outsourcing vs. insourcing marketing talent? External vendors and agencies generally possess a specialized skill or technology that we cannot replicate internally or one that we do not need on a consistent basis. This contrasts from the more general agencies of a long time ago. We evaluate our external provider portfolio constantly and make changes as needed given the rapidity of change. How important is it for senior marketing executives to pay attention to their own personal brand? Any advice for those ignoring it? Every marketer must meticulously manage his or her personal brand. I give this advice to undergraduates all the time. If you are not managing your personal brand, especially online, you don’t have a visceral understanding of how marketing works. Also, every hiring manager will look at how you manage your online brand first. Managing your online profile provides an incredible opportunity to practice everything that makes marketers great. Managing your online profile provides an incredible opportunity to practice everything that makes marketers great (writing, creative, tech savvy, etc.). In many ways, the CMO represents the company, and must manage his or her profile. 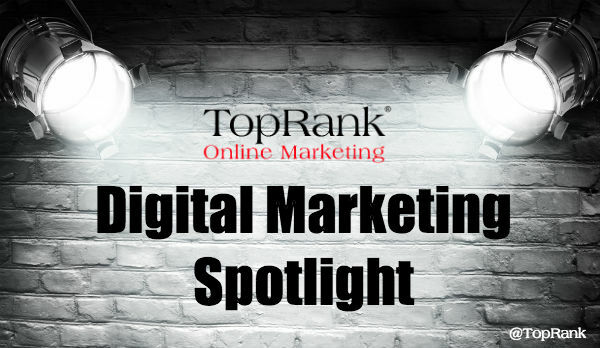 What are some of your top digital marketing priorities for 2016? We’ll continue to refine our go-to-market messaging and strategy, and part of that work will include an increased and enhanced Web presence. We will scale marketing more effectively globally, drive pipeline, and build the brand through efficient and effective communications / influencers. We’ve been testing Account Based Marketing successfully and we will look to scale this substantially. How do you stay current on marketing and technology and what information sources do you find most useful? I am a voracious consumer of content on the Web and books (mainly psychology and sci- fi). I find blogs and online influencers most useful in learning about the latest thinking in marketing, while books are most useful in understanding dense topics like psychology and the predictions of the future. Let’s play social media word association. What’s the first word that comes to mind for each of the following social networks or apps? You can connect with Rishi on Twitter and LinkedIn. Be sure to watch for the next in our series of digital marketing interviews with senior marketing executives at major B2B and B2C brands.